hd00:06Krakow, Poland - June 2017: Krakow Main Market square, full of tourists, at summer time. Horse carriages standing in line waiting for the costumers. 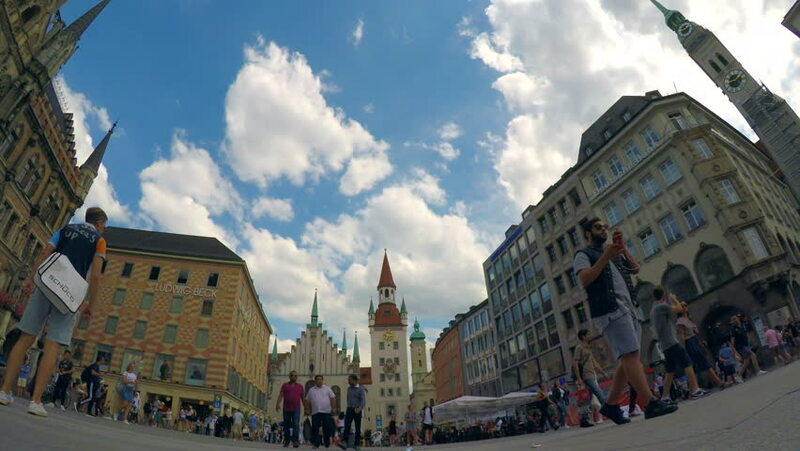 hd00:15MUNICH, GERMANY - May 3: The historical town hall on the main square Marienplatz in the center of the city on May 3, 2013 in Munich, Germany.